You can collect Frito Lay chip bags, keep them out of landfills and send them to be remade into something useful all while earning money for your school or nonprofit organization. 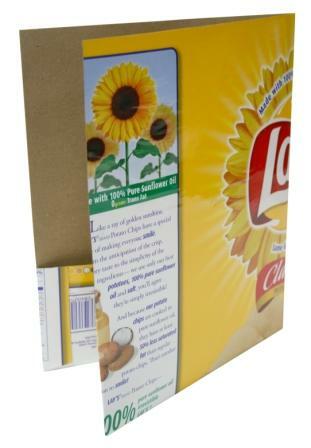 TerraCycle has teamed up with Frito Lay to collect used packaging from FritoLay snack products- Doritos, Cheetos, Tostidos and other chip bags and turn them into affordable upcycled products- folders, tote bags, purses and pencil cases. You can sign up to join the Chip Bag Brigade at TerraCycle.net. TerraCycle will send you everything you need. All you need to do is designate a non-profit organization or school to receive the money from the bags collected. This is a great project to get your local schools involved in. Kids love snacks, they love chips, and I bet most households buy some Frito Lay products. Instead of throwing the bags away they can be collected and TerraCycle will turn them into something new and your school can earn $.02 per accepted bag. Apply here to become part of something fun. i love this idea. I see it would be hard to make much money at it, but what a great idea for a school project. Am I the only one who thinks that this is just… wrong? It’s promoting the consumption of junk food that people (especially kids!) don’t need, and turning the waste into junk products that people don’t need, which in turn promotes the aforementioned junk food through the branding on the junk products? I could see how it might make some money for a school when done on a large enough scale, but to call this environmentally friendly is a bit of a greenwash. Sure, it might keep the bags out of the landfill, but I can see the “upcycled” products ending up in the landfill in fairly short order, plus now there’s been the additional energy expenditures in creating the upcycled products (not to mention shipping of the bags and products). The only winner here is Frito-Lay, who gets to look like they’re doing something good while improving their brand exposure and probably increasing consumption of their products in the areas where the programs are in effect – you can’t tell me that in theses schools there won’t be increased pressure (conscious or unconscious) on the students to buy more Frito-Lay products to “help support the school and save the environment”. Or am I just an anti-consumerism cynic? Possible anti-consumerism cynic I think. I have three kids, three kids that no matter how many vegetables you stick in front of them at some point they still want junk food. It is part of life. Junk food isn’t going to go away so we might as well do soemthing good with the wrappings. Sure Frito Lay gets to look like a hero but TerraCycle, a company founded on eco-principles is taking junk and upcycling it into good things instead of letting it rot in landfills. To me it’s a step in the right direction. We can’t expect green perfection all at once. Aborted Human Cells to Monsanto’s Glyphosate: What’s in your Vaccine?